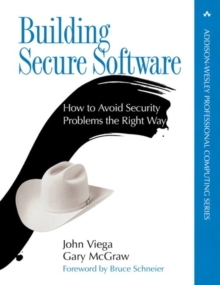 "When it comes to software security, the devil is in the details. This book tackles the details." 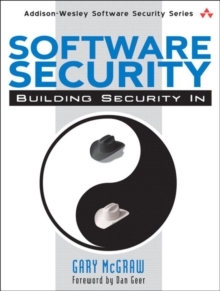 --Bruce Schneier, CTO and founder, Counterpane, and author of Beyond Fear and Secrets and Lies "McGraw's book shows you how to make the 'culture of security' part of your development lifecycle." --Howard A.
Schmidt, Former White House Cyber Security Advisor "McGraw is leading the charge in software security. His advice is as straightforward as it is actionable. 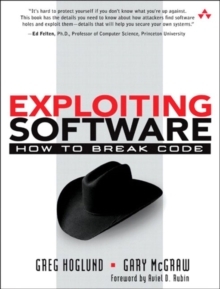 If your business relies on software (and whose doesn't), buy this book and post it up on the lunchroom wall." --Avi Rubin, Director of the NSF ACCURATE Center; Professor, Johns Hopkins University; and coauthor of Firewalls and Internet Security Beginning where the best-selling book Building Secure Software left off, Software Security teaches you how to put software security into practice.The software security best practices, or touchpoints, described in this book have their basis in good software engineering and involve explicitly pondering security throughout the software development lifecycle. 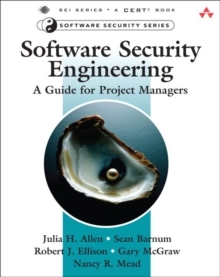 This means knowing and understanding common risks (including implementation bugsand architectural flaws), designing for security, and subjecting all software artifacts to thorough, objective risk analyses and testing. Software Security is about putting the touchpoints to work for you. Because you can apply these touchpoints to the software artifacts you already produce as you develop software, you can adopt this book's methods without radically changing the way you work. Inside you'll find detailed explanations ofRisk management frameworks and processes Code review using static analysis tools Architectural risk analysis Penetration testing Security testing Abuse case developmentIn addition to the touchpoints, Software Security covers knowledge management, training and awareness, and enterprise-level software security programs. Now that the world agrees that software security is central to computer security, it is time to put philosophy into practice. Create your own secure development lifecycle by enhancing your existing software development lifecycle with the touchpoints described in this book. 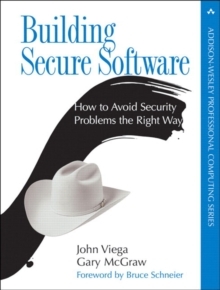 Let this expert author show you how to build more secure software by building security in.